Upgrading computer equipment and electronics like cell phones and handheld devices is part and parcel of operating a modern and competitive business entity. While many companies have a strategy in place for upgrading, however, they’re behind the curve when it comes to data destruction and disposing of old and outdated equipment and devices. As a certified ITAD (IT Asset Disposition) service provider, SEAM is proud to partner with North Dakota businesses in Bismarck, Fargo, West Fargo, Grand Forks, Minot, and beyond to provide secure and reliable destruction and recycling services. What can SEAM do for you? The core of what we offer at SEAM is data destruction and electronics recycling services. However, we do so much more for your business. We understand the value of security and compliance with applicable privacy and environmental laws, which is why we offer security provisions, transparency, and proof every step of the way. Whether we shred hard drives on-site at your location or we securely transport devices to our facility for shredding and recycling, we guarantee the security of your sensitive data. We can also safely wipe and refurbish still-usable electronics for remarketing to help your business recoup some costs when you upgrade. For your peace of mind, all electronics are tracked by serial number. You can log in to our 24/7 client portal to track the progress of your items. Once electronics have been shredded and recycled, you will receive a Certificate of Destruction and Recycling for your records. SEAM provides the reliable and consistent services you can trust to get the job done right. SEAM is pleased to work with a vast network of businesses across diverse industries. We regularly serve the finance sector, educational institutions, the healthcare industry, and data centers, among other business interests in North Dakota. Our services help to ensure compliance with applicable privacy laws and environmental standards. 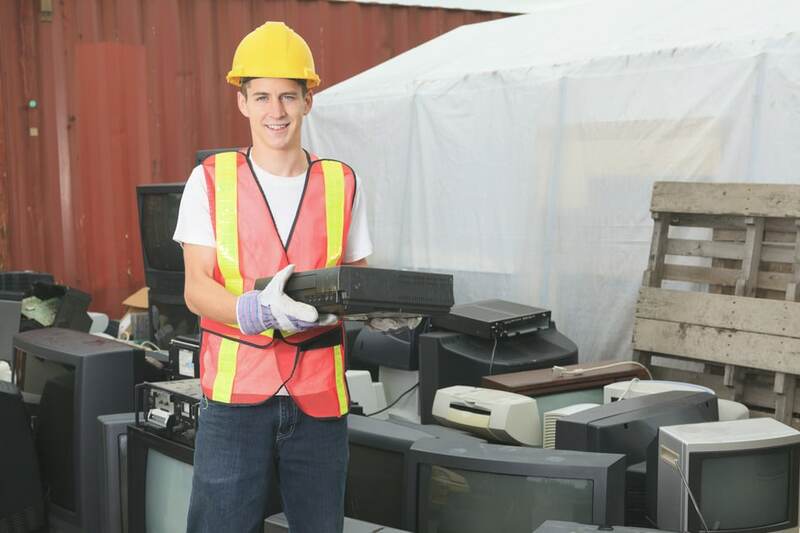 Security and convenience are two of the biggest concerns for businesses when it comes to IT asset disposition, which is why SEAM not only delivers proof of destruction with Certificates of Destruction and Recycling, but also offers on-site shredding services that allow you to watch as hard drives are shredded. SEAM’s qualified team of professionals is happy to visit your location for secure pickup of any IT equipment. We’ll package it, load it, and transport it to our secure facility for destruction and recycling. North Dakota companies are expected to comply with a variety of federal, state, and local laws related to privacy and the environment, as well as industry-specific rules and regulations. SEAM has the knowledge and services to help your company meet all applicable requirements. Many electronics, including computer equipment and devices, are still viable even when you upgrade to something new. SEAM can securely wipe devices to prepare them for remarketing, so you can see some return on investment. SEAM proudly offers safe, sound, and compliant e-waste recycling, in accordance with applicable laws, as well as eStewards, ISO, and OHSAS standards. North Dakota businesses interested in developing an ITAD strategy for destruction and recycling can contact SEAM today at 605-274-7326 (SEAM) to learn more.